Protect Your Investment with Extended Warranty Offers. Even though Bobcat® machines are known for their durability and reliability, an extended warranty provides even more protection. Extended warranty options make it easy to work without worry. These options include Protection Plus® extended warranty coverage for both New and Certified Pre-Owned equipment as well as Used Equipment Extended Service Protection Plans. For an added sense of security and the most peace of mind for your equipment, choose a Protection Plus® extended warranty. Coverage offers the same level of protection as the standard warranty and you can choose the level of protection you want: powertrain, powertrain + hydraulics & full coverage. Multiple lengths of coverage times are available. And because it’s transferrable, it will likely increase your machine’s resale value. Bobcat® Certified Pre-Owned equipment allows you to save money while acquiring the world’s leading brand of compact equipment. It provides you with a lower-priced used machine, but you also get peace of mind. Each machine undergoes a detailed inspection – from the frame to the workgroup, controls, hydraulics and more. Every aspect of the machine is guaranteed fully operational and approved for duty. 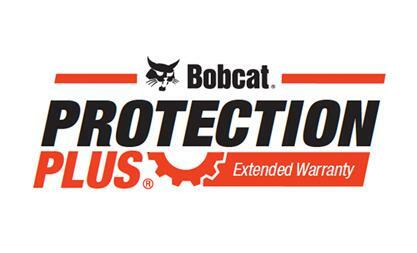 In addition, Certified Pre-Owned machines come with a Bobcat-backed Protection Plus extended warranty. The Used Equipment Extended Service Protection Plan (ESPP) adds peace of mind to your used equipment purchase (For U.S. Customers Only*). Provided by EPG, a leader in extended service contract business for the compact equipment industry, the extended service protection plan can help to minimize the costs of unexpected equipment repairs. Extended service protection plans are available for equipment outside the base warranty period and can only be purchased at the time of sale.